For me, chili is the official meal of the fall. It’s hearty and warm and the smell of it cooking on the stove just makes me happy. 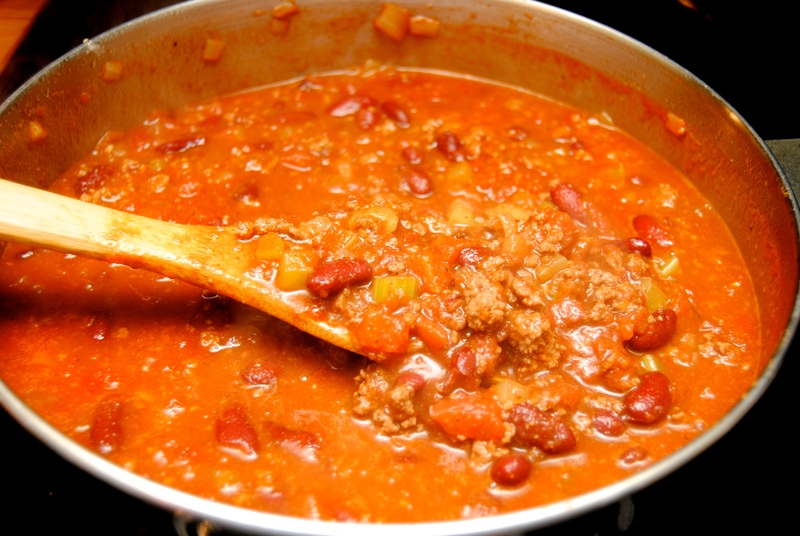 I make almost the same chili recipe that I had growing up, except the main differences are now I add some celery (because I love the flavor it brings) and beef stock (instead of not draining my beans). It still brings me back to the fall and winter in Florida and one of my favorite meals my mom would make for our family. 1.) 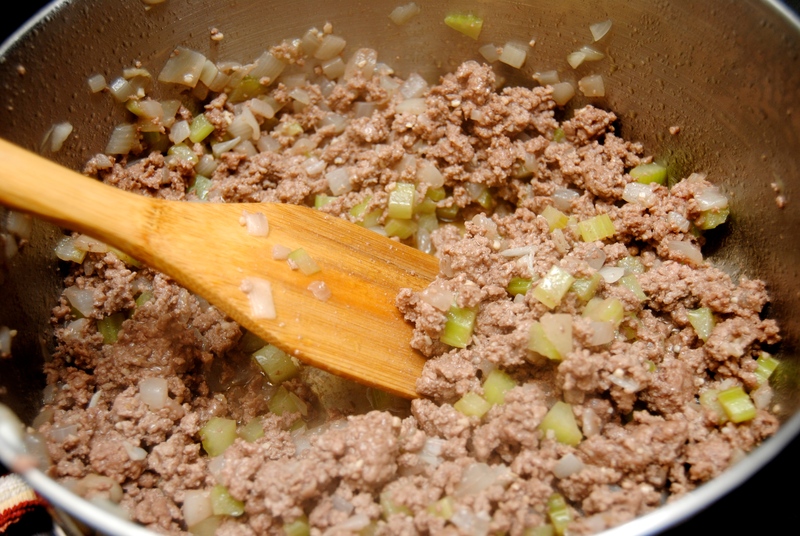 In a large soup pot over medium-high heat, add ground beef, onion, celery and garlic and cook until meat is brown. Use a spatula to break apart the meat as it cooks. Drain any excess fat. 2.) Add diced tomatoes, kidney beans, beef broth, chili powder, sugar and pepper and bring to a boil. Reduce heat to medium-low, cover and simmer for 45 minutes to an hour, stirring occasionally. 3.) Serve with crumbled saltines and shredded cheese and enjoy! This entry was posted in Food and tagged Chili, chili recipe, Cooking, Dinner, Fall, Food, Ground beef, Kidney beans by biscuitsncrazy. Bookmark the permalink. This looks delicious! 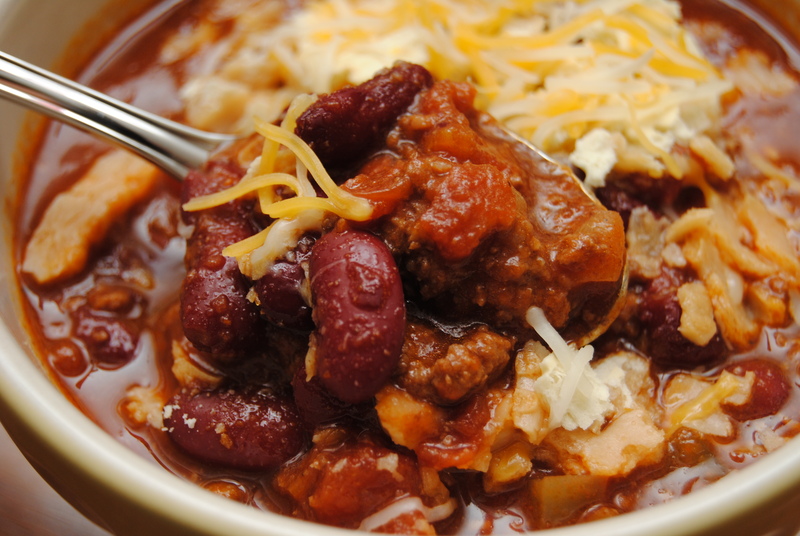 I agree – it’s a perfect time for chili. But with our middle daughter the only one home with me now, I’m only rarely going to get to make it. She hates chili, so I’ll have to wait until someone else comes home to enjoy it with me! This looks incredible! I’m looking for a great chili recipe to try for this fall. One that isn’t too spicy because the wife can’t handle it. celery, garlic or peppers. Laziness has it’s charms 🙂 Can’t wait to try your version. Thanks, Susanna! 🙂 I’ll have to try the picante version sometime too!